A few field trip safety rules will ease your mind as your children go on school outings with their teachers and friends. 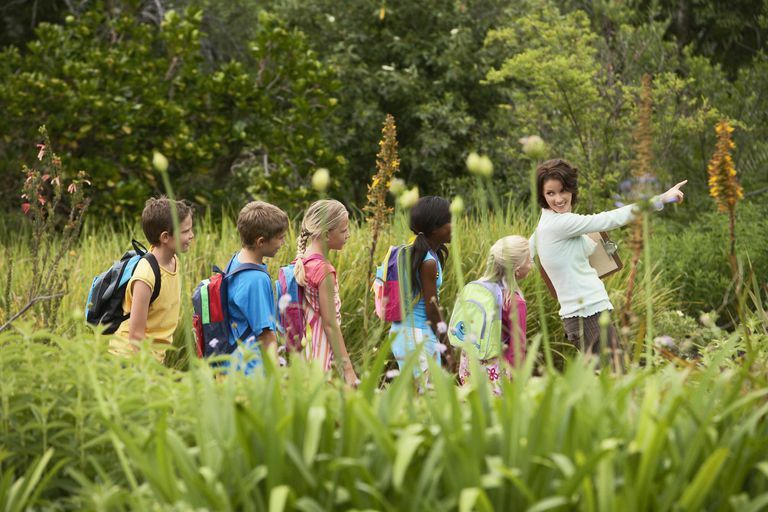 Follow these field trip safety tips to keep your kids safe. The first rule of field trip safety is to talk to your kids. If it's their first field trip, tell them what to expect. Talk to them about the importance of staying with the group. Encourage them to stay close to their teacher. Explain to them that a field trip is a fun privilege but that they still need to follow the same rules they follow when they are with you. The more you talk to them, the better they'll understand those rules, even though you won't be there to supervise them. Entrusting your child in someone else's care is a huge step for any parent. It can be unnerving to think of your kids traveling, visiting new places and being under another adult's supervision when they start going on field trips. Talk to the teacher to find out more about the field trip before you commit. The class may be going somewhere really great and your child is very excited but you'll want to more about who all is going, the adult to child ratio, if emergency contact information for each child will be taken and the transportation that will be used, such as a school bus or parents driving their own cars. Ask about the exact plan. Will they stop for lunch? What time will the class leave and what time will they return? If you don't feel 100% comfortable with the answers, ask if you can help chaperone. That way, your child can attend and you can see firsthand how school field trips are managed. Kids as young as four start going on field trips in some preschools. Even children who know their phone number may be too scared to tell someone should they get separated from the group. An injured child may be unable to speak your name and phone number. A crying child trying to tell someone her mommy's name may not be understood. To prevent any mix-ups and give you peace of mind, put your name and phone number in as many places as possible on your child the day of the field trip. Label her clothes, put a piece of paper in her pocket. Even write your phone number on her palm. Some may think this is overkill. But if your child was lost and couldn't say her phone number, wouldn't you rather know that your contact information is everywhere it can be on her so she can be returned to you promptly? Dress your children in brightly-colored clothes for the field trip. A brown shirt won't make your child stand out on the wilderness field trip. Avoid the dark clothes and colors that will blend in, depending on where the field trip is located. Go for shirts that are yellow, pink, aqua and other bright colors. You want your kids to be easy to spot in any kind of environment, whether they're inside at a kids' museum or outside at a park. If your child has special circumstances the teacher needs to be aware of, you've probably already alerted the school. However, you want to remind your child's teacher and inform anyone else who may be going on this field trip that your child has special conditions that need to be followed to keep your child safe. Whether it's food allergies or medications needed while on the field trip, send a list of special instructions with your kids to keep them safe. Follow up with the teacher to make sure she received your instructions and that they'll be taken with your child on the field trip. The day of the field trip, don't forget to put allergen or other medical bracelets and identifiers on your child. The purpose isn't to alienate your child from his friends but, as you know, one misstep and your child could become severely ill. While the teacher may understand your child's needs, your goal is to make every adult responsible for your child aware that they need to pay attention to the details to keep your child safe.